Jordan Hirschorn was born and raised in Northern Bergen County in Demarest. While attending college at the University of Arizona, Jordan learned a lot about the real estate market during the mortgage and construction crisis in 2008. Since then he has seen the way the market has come back stronger in some places rather than others. 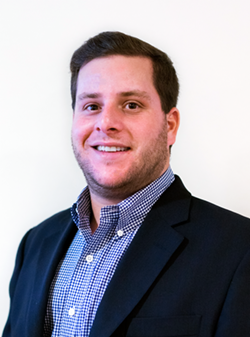 Jordan has a great knowledge of areas from Edgewater to up north to the smaller suburban towns such as Fort Lee, Englewood, Englewoodcliffs, Tenafly, Cresskill, Closter, Demarest, and Norwood. He has a great understanding of the school systems and what each town can offer different home buyers and families. While helping you find the perfect new home, Jordan will be there every step of the way to walk his clients through the whole process of buying a home and using his resources with banks and attorneys to make the process as easy going as possible.